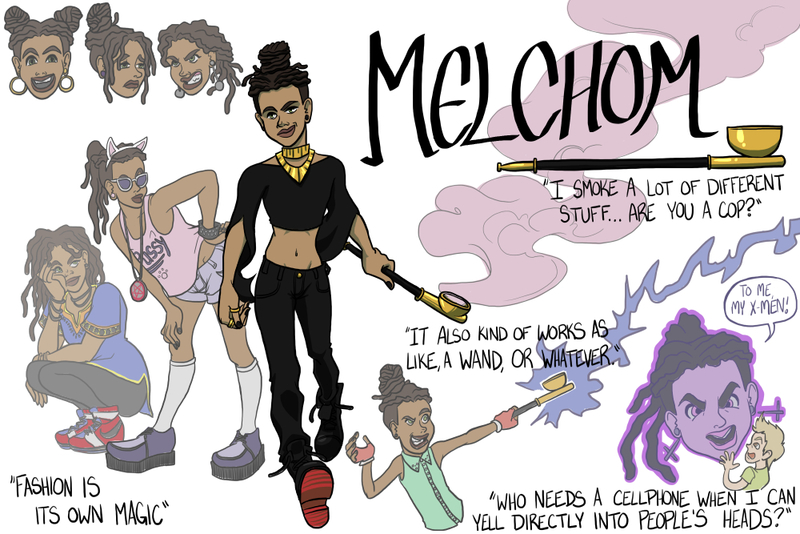 Melchom owns a moderately successful magic shop in Void City's gay village. He's willing to provide various magical services for a certain fee, too. He's not picky about clientele or their motivations as long as they've got the funds. He likes clothes, boys, and most of all, money.